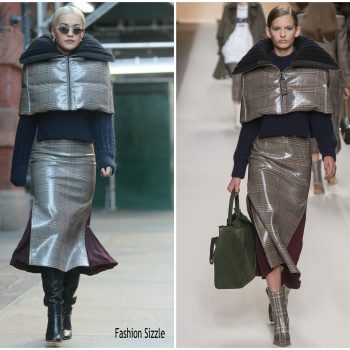 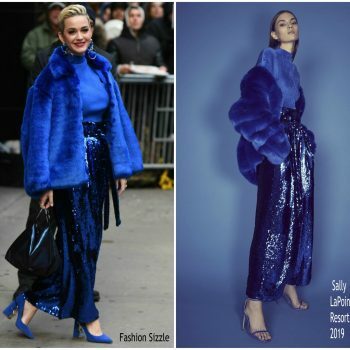 Rita Ora was spotted wearing the Black Leather Mini Skirt with Studded Suede Trim from the Diesel Spring/Summer 2019 Collection out and about in New York City on March 26th, 2019. 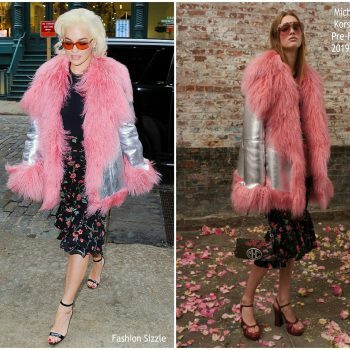 Rita Ora was spotted out on the streets of New York promoting her new song, ‘Only Want You,’ on Monday (March 25). 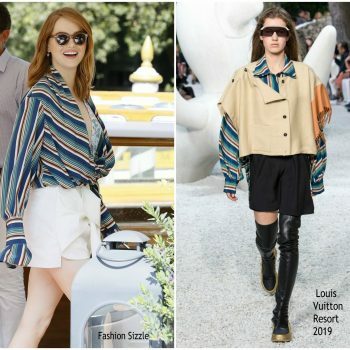 Emma Watson attended the he first G7 Advisory Council For Gender Equality in Paris in Élysée Palace on February 19 . 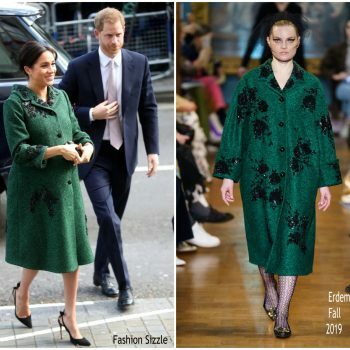 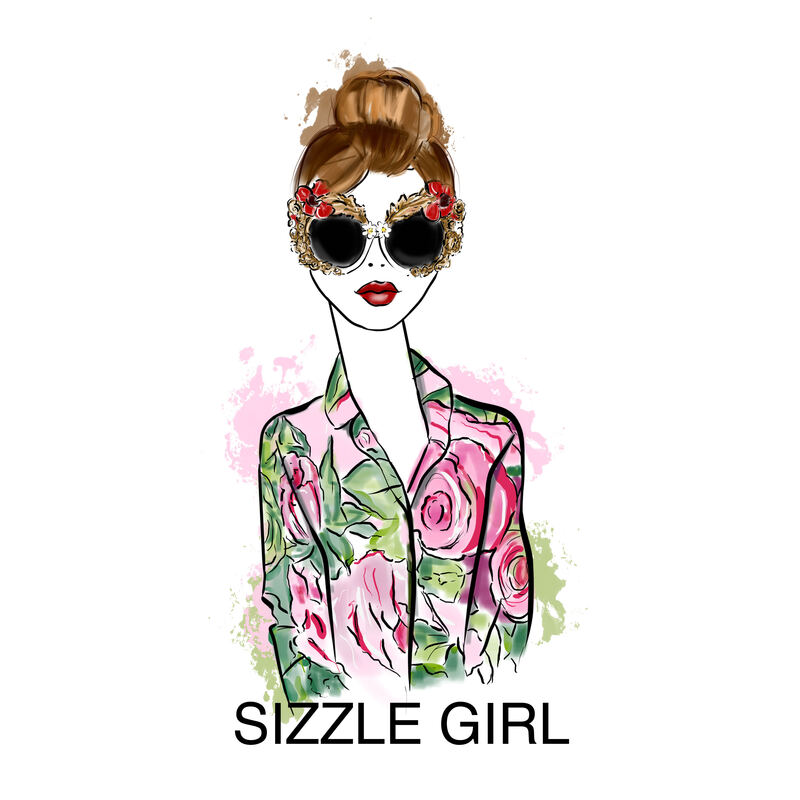 She wore green print Alexa Chung spring/summer 2019 suit styled with yellow heels. 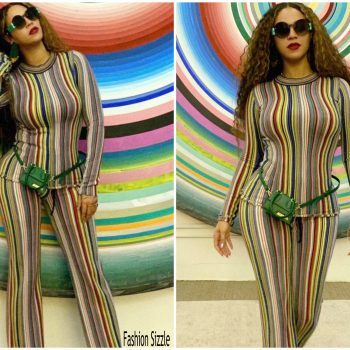 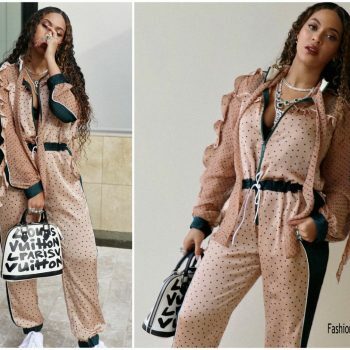 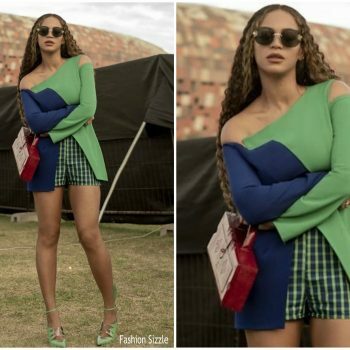 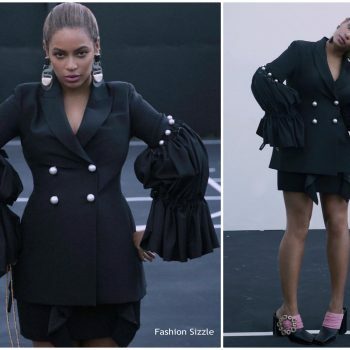 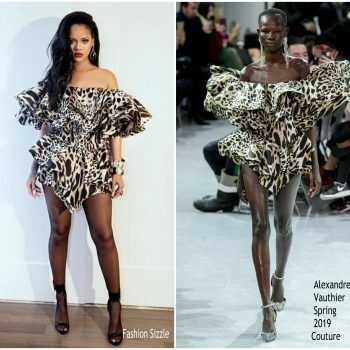 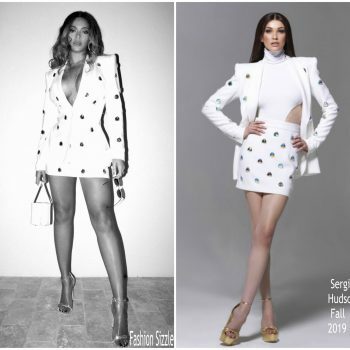 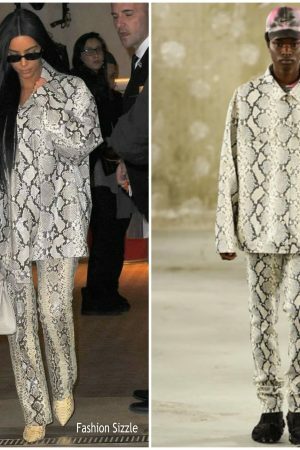 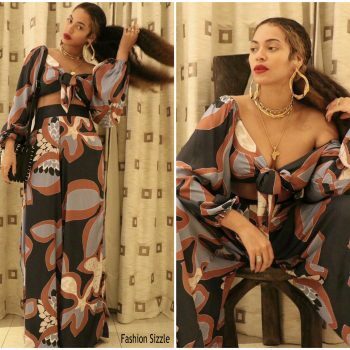 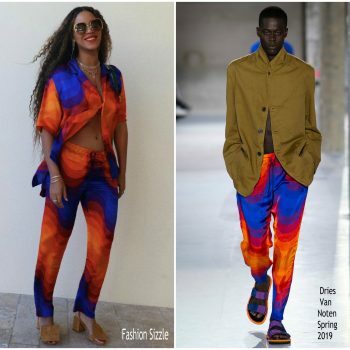 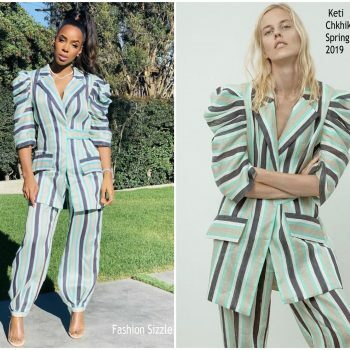 Beyonce shared pics on her instagram page on (January 31st) She wore a Dries Van Noten Spring 2019 menswear design. 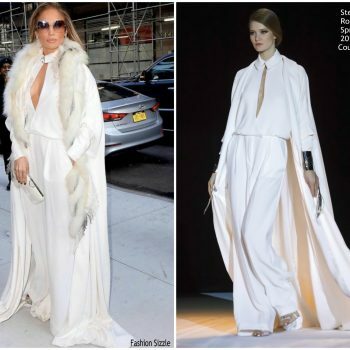 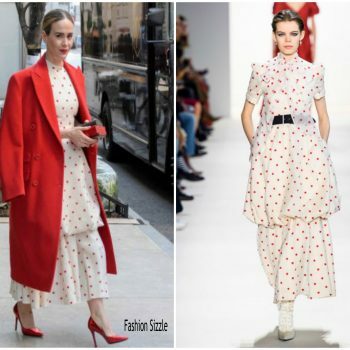 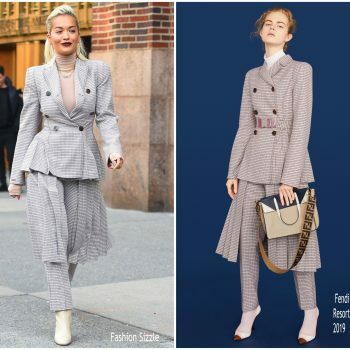 Following her appearance at Elvis Duran Z100 Morning show in New York City today (January 17) Rita Ora then stopped by SiriusXM Studios She is wearing a Dion Lee’s Fall 2018 design. 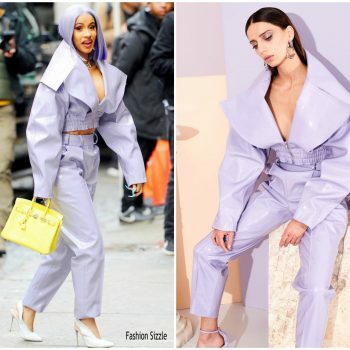 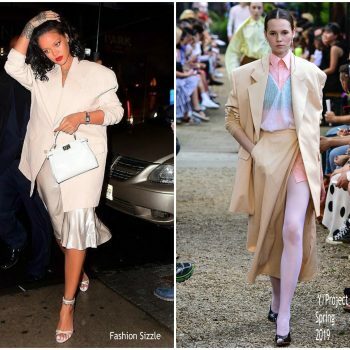 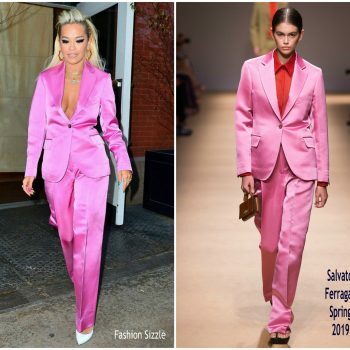 Musician Rita Ora was spotted wearing a pink Salvatore Ferragamo Spring 2019 suitwhile out-and-about today in New York City on January 16, 2019 . 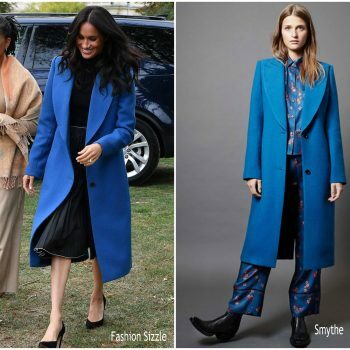 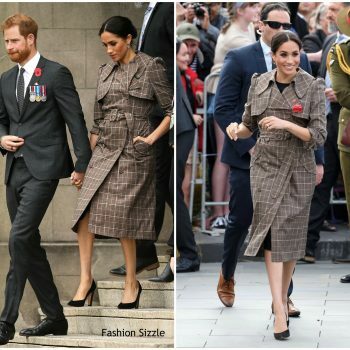 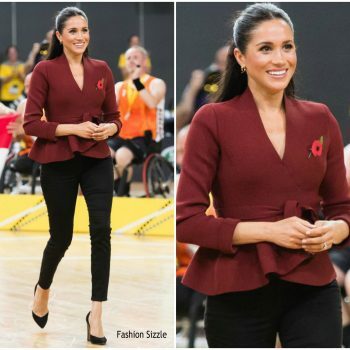 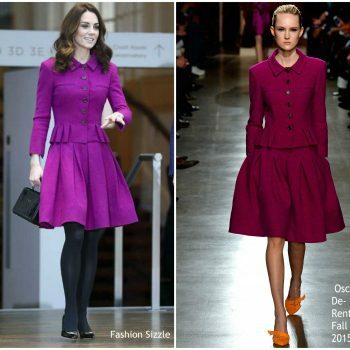 Meghan Markle , Duchess Of Sussex In Scanian Theodore @ Invictus Games Sydney 2018 She is wearing a Scanian Theodore jacket and black Sarah Flint heels. 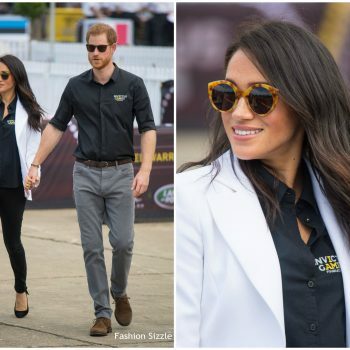 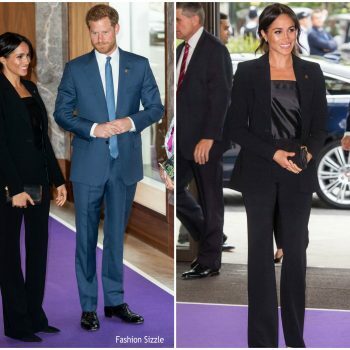 Meghan, Duchess Of Sussex attended Invictus Games Day 2 She is wearing a L’Agence’s ‘Brea’ pinestripe blazer styled with black jeans and a bag from Oroton ‘Avalon’ dual-colour piece. 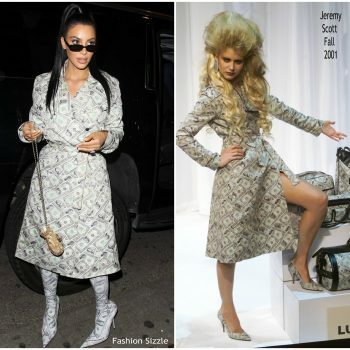 Rita Ora was spotted out in LA on Wednesday (October 10). 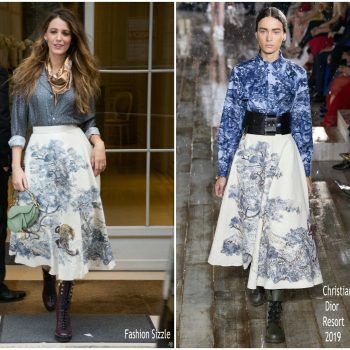 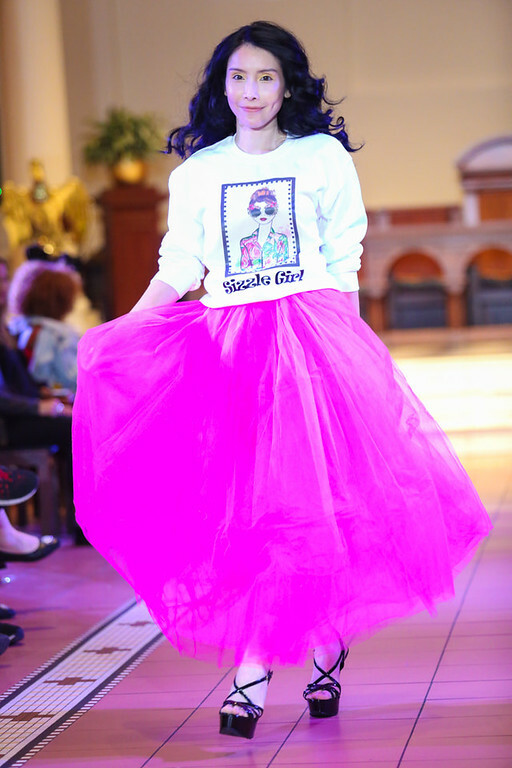 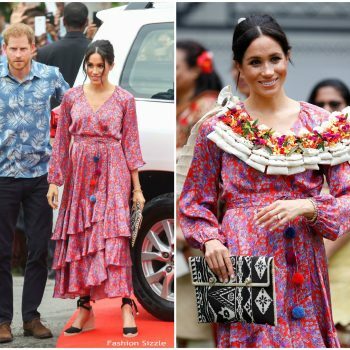 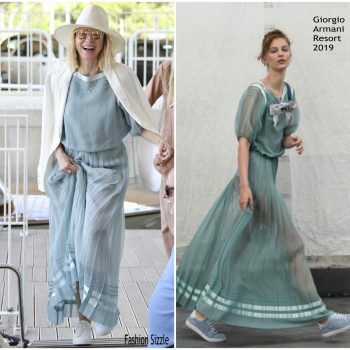 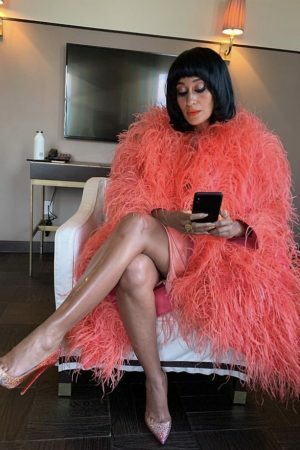 She wis wearing a Miu Miu Resort 2019 chiffon dress that has ostrich feather hemline. 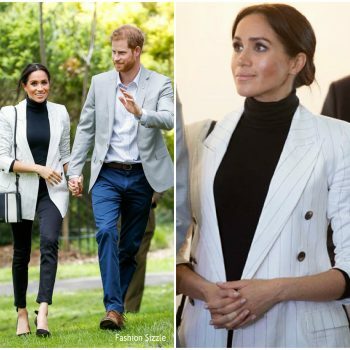 Catherine, Duchess of Cambridge has return from her six-month maternity leave with Prince Louis by visiting the Sayers Croft Forest School and Wildlife Garden in Paddington, London on Tuesday (October 2). 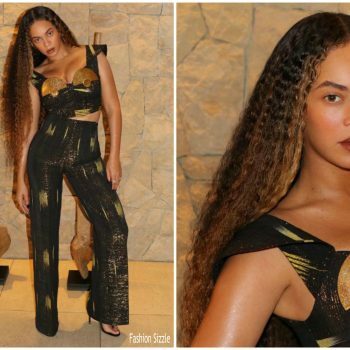 Beyonce Knowles debut a new look on her OTR:II tour at the Levi’s Stadium in Santa Clara, California on Saturday (September 29). 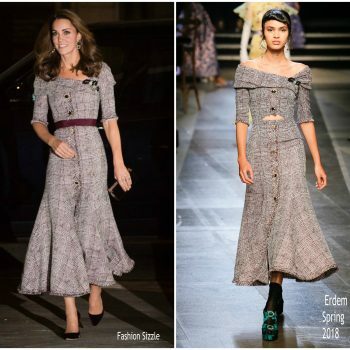 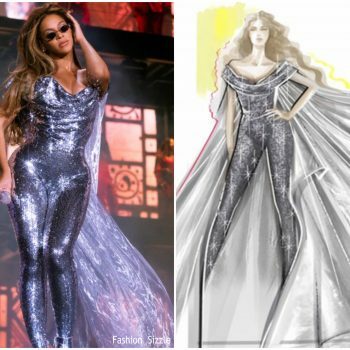 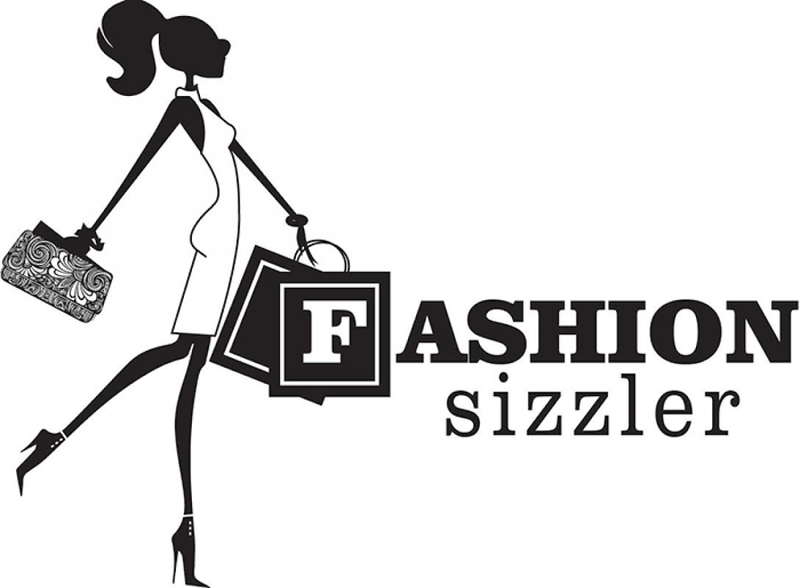 She wore a silver custom Vivienne Westwood sequin jumpsuit. 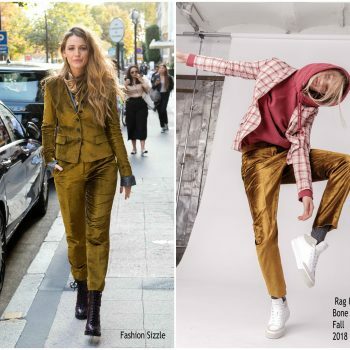 Blake Lively was spotted and photographed out promoting her new film, ‘A Simple Favor’ in Paris today (September 20). 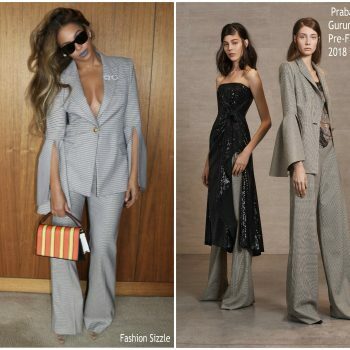 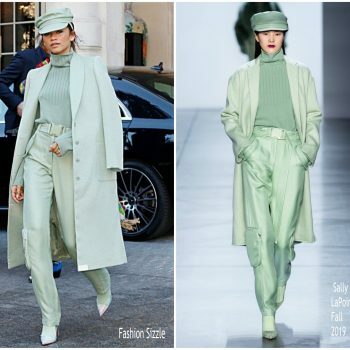 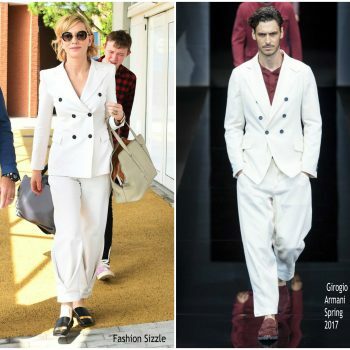 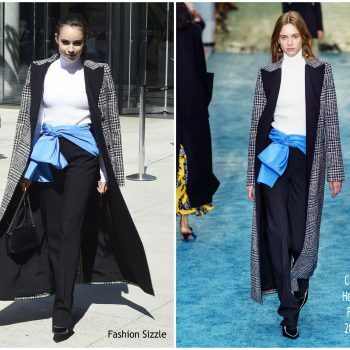 She is wearing velvet Rag & Bone Fall 2018 suit. 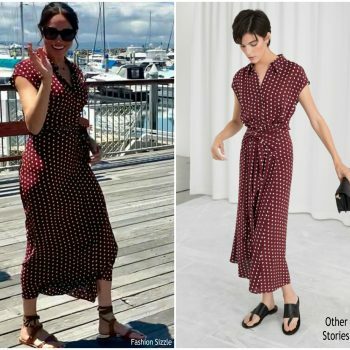 Paz Vega was spotted and photographed rriving at the Hotel Excelsior in Venice, Italy today (August 30), on day two of Venice Film Festival. 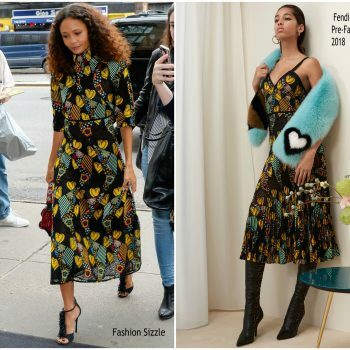 She is wearing a yelllow Ulyana Sergeenko Fall 2018 Couture dress. 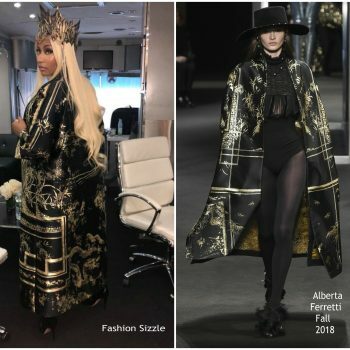 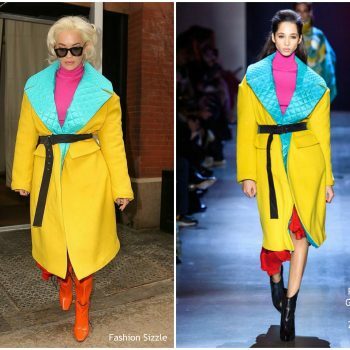 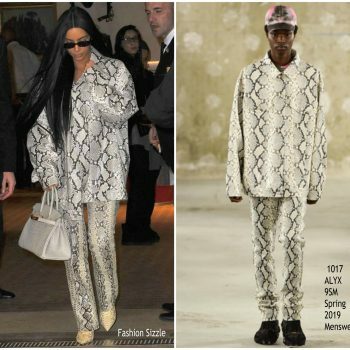 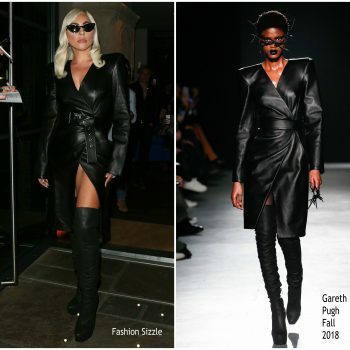 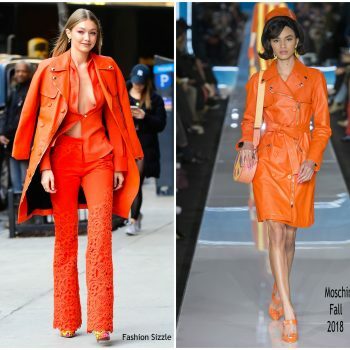 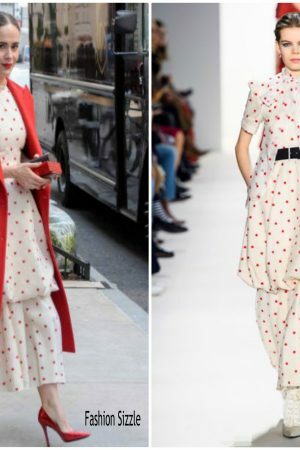 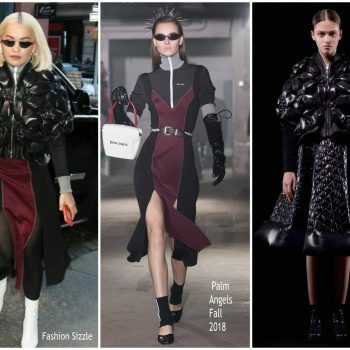 Nicki Minaj recently shared a pic on instagram She wore a Alberta Ferretti Fall 2018 design.